Move over dogs and cats, here comes the rabbit! 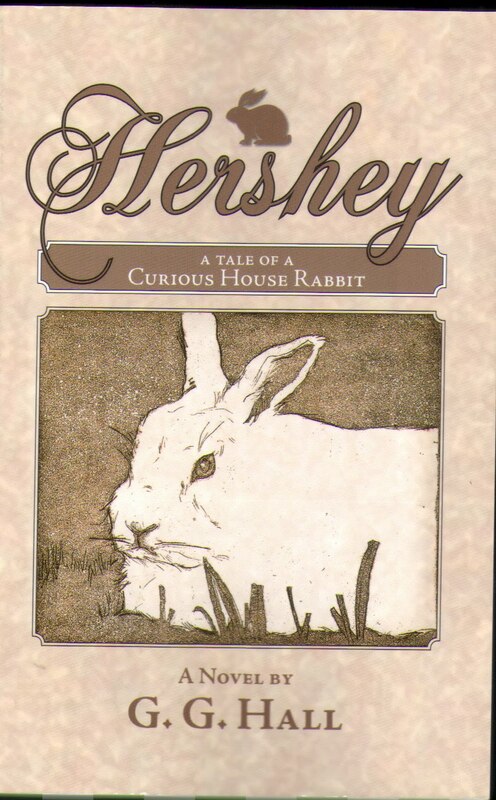 Hershey- A Tale of a Curious House Rabbit by G. G. Hall is a refreshingly spirited read about rabbits. A pet rabbit adopted from a shelter secretly figures out how to explore his new home without his human owners knowing. Rabbit rescuer and children’s book author, G. G. Hall debuts her first novel, Hershey- A Tale of a Curious House Rabbit. A heartwarming and humorous tale, as told by a rabbit named Hershey, takes us into the mind and life of a rabbit living indoors, also known as a house rabbit. Based on the life of a real pet rabbit by the same name, Hershey reveals the antics and situations that he gets into as he explores his house while his owners are asleep or away. He soon befriends one of the other house rabbits, Pepper, who eventually accompanies him on further escapades. Soon, the two rabbits manage to knock down a Christmas tree, invade their owners’ closet spilling baby powder everywhere, and even succeed in accidentally pulling down pantry shelves filled with syrup bottles. Not satisfied with the indoors, the adventurous bunnies find a way to the outdoors. But getting back home is not easy. Faced with numerous obstacles- such as backyard creatures ready to have them for dinner- they must attempt to find a way home using their wit and the kindness of a few unusual new pals. As a rabbit rescuer, G.G. Hall wants to send out a message that rabbits can be intelligent, curious and complex creatures. As the true meaning of friendship develops between the two main characters, the author also reveals some of the terrible dangers that domesticated rabbits face once released into the outdoors. With this novel, she hopes to promote a positive, responsible picture of what wonderful animals they are. As the plot unfolds, the reader will begin to realize why rabbits should be taken more seriously as fun-loving and intelligent companions that are by no means just a child’s pet. A portion of the sales of the novel will be donated to various rabbit rescue groups. G.G. Hall is the author of the novel “Hershey- A Tale of a Curious House Rabbit.” She has degrees in both physics and engineering and currently works in the Physics Department at Florida International University in Miami, Florida as a laboratory supervisor. She is both an educator and a volunteer for her local chapter of the House Rabbit Society. 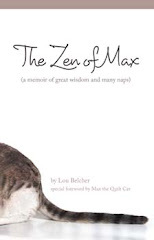 She and her husband Oren, also a physicist, share their home with six rescue rabbits, several birds, and two box turtles- all of which appear as characters in the novel. Sounds like a fun and interesting read. My name is GGHall, my wife calls me "bunny" and I am also an engineer. Go figure!